TOKYO – Mazda Motor Corp. reported a 42 percent decline in net income in the latest quarter as foreign exchange rate losses hit earnings and sales slipped in the key markets of North America and Japan. Global net income dropped to 21.23 billion yen ($207.0 million) in the Japanese carmaker’s fiscal first quarter ended June 30. Operating profit fell 1.7 percent to 52.44 billion yen ($511.3 million) in the three months, Managing Executive Officer Tetsuya Fujimoto said while announcing financial results today. Revenue decreased 3.7 percent to 776.20 billion yen ($7.47 billion). Global retail sales advanced 1.3 percent to 375,000 units. 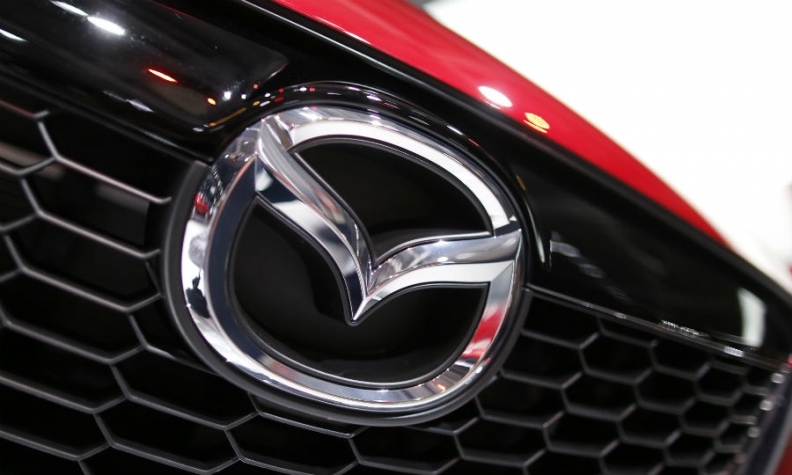 Unfavorable exchange rates hit Mazda hard in the quarter. The appreciating yen is expected to torpedo earnings across the board at Japanese automakers in their fiscal first quarter. A more expensive yen reduces the profit they can book on the vehicles sold overseas. As one of the country’s most export-dependent automakers, Mazda is especially sensitive. About 63 percent of Mazda’s global output is concentrated in Japan, and roughly 80 percent of that is exported overseas. The Japanese yen’s appreciation against the U.S. dollar, Canadian dollar, euro, Australian dollar and other currencies slashed 33.9 billion yen ($330.5 million) off the company’s operating profit. Earnings were further dented by declining sales in Japan and North America. North America, the company’s biggest market, saw sales decline 2 percent to 113,000 vehicles. Sales in the home market fell 31 percent to 39,000 units. Europe bucked the trend, with sales up 22 percent to 66,000 vehicles. Mazda is pursuing a strategy of building volume and profit by deploying its fuel-efficient Skyactiv platform and powertrain technologies, introducing more crossovers and establishing a broader overseas production footprint. It also aims to increase pricing power and residual value by improving customer service and focusing on higher-spec, higher-grade models. A next-generation of the brand’s Skyactiv platform is due by March 31, 2019, which the company says will further boost brand power. Mazda wants to lift global volume to 1.65 million vehicles in that fiscal year, from 1.53 million in the fiscal year ended March 31, without adding plants. Looking ahead, Mazda kept unchanged its previous outlook for the current fiscal year ending March 31, 2017. Mazda aims to sell 1.55 million vehicles, or 1 percent more than the previous year. North America sales are seen up 3 percent to 449,000 vehicles. Mazda forecasts operating profit to fall 25 percent to 170.0 billion yen ($1.66 billion) and net income to decline 14 percent to 115.0 billion yen ($1.12 billion), undermined largely by losses from shifting currency rates. Foreign exchange losses are expected to lop 81 billion yen ($789.7 million) off the company’s full-year operating profit, Mazda said. The carmaker expects revenue to slide 4 percent 3.28 trillion yen ($31.98 billion).